Give today to feed families and farmers at Hollywood and Lloyd Farmers Markets! Hollywood Farmers Market hasn't added a story. One in six of your neighbors is facing food insecurity this holiday season. You can put fresh local produce on their dinner table by giving to the Hollywood Farmers Market SNAP match fund. The SNAP match began in 2010, and for the past nine years has distributed over $140,000 to thousands of recipients. For several years, the SNAP match was supported largely through federal funding. Unfortunately, this funding went away in 2018, and we now rely on local support in order to continue the program. Every $10 you give means one more family can buy fresh, local fruits and vegetables. Make a gift to the farmers market SNAP match today - because everyone deserves to eat healthy, fresh, local food. Note: Hollywood Farmers Market is a 501(c)6 non-profit, and therefore contributions to this campaign are not tax deductible. Donations of $500 or more to the SNAP Match program can be tax deductible if they're made through our fiscal sponsor Farmers Market Fund, a 501(c)3 non-profit. Contact Ari Rosner at ari@hollywoodfarmersmarket.org if you are interested in making a larger donation through Farmers Market Fund, so we can make sure your donation gets added to the campaign. 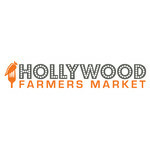 Hollywood Farmers Market hasn't posted any updates yet. Hollywood Farmers Market is managing the funds for this campaign.